What is PMP Application Process? PMP aspirants have face difficulty while finding answer to this question. They have apprehensions about PMP application and certification process. PMP exam is considered to be tough exam. There are many uncertainties surrounding the exam. Aspirants are not only anxious about the study but they are also uncertain about PMP application process. There are many websites (both paid and free) where you can find wealth of information about the PMP application and certification process. You can also contact PMP Training companies. They can also provide valuable information regarding the process. I have not written this article to repeat the information that is available elsewhere. 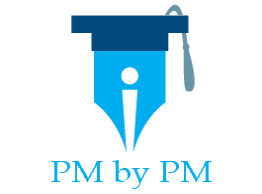 Rather, I have written this article to give you the best source of information for PMP application and certification process. The handbook contains complete information regarding PMP certification process. The purpose of this handbook is to provide you with important information about policies and procedures for obtaining and maintaining the PMP credential. You should always refer to PMI’s website, if you have any confusion regarding PMP certification process. PMP Handbook is the most authentic and reliable source of information . PMP exam prep may not be any different from any other preparation for a professional certification or any other exam, but how are we going to remember all of the different aspects of project management during the exam? Typically, there are some suggested schedules for PMP exam prep but its more effective to set a time self assessed ability to do the preparation. After all, the core things to be covered in the preparation remain the same. It only is a matter of allowing the study materials marinate in one’s mind. One thing I’d really like to discuss is that course outline and PMP handbook are 2 most important prep tools. Thanks for your post here.